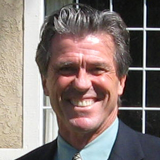 Robert Campbell is a real estate analyst and economist. He's been publishing The Campbell Real Estate Timing Letter since 2002. His book (Timing the Real Estate Market) presents a clearly defined method for predicting the peaks and valleys of real estate cycles. October 12th, 2018 | San Francisco Housing Bubble – UPDATE! July 22nd, 2018 | Must See Chart! Are We Nearing a Housing Market Peak? October 31st, 2017 | Would Higher Interest Rates Derail Today’s Housing Boom? September 22nd, 2017 | Will Millennials Ever Be Able to Own a Home? HoweStreet.com Radio - What’s behind rising US house prices? September 2nd, 2017 | The Next Big Play for Investors? July 18th, 2017 | Canada Set for Horrible Real Estate Crash? June 3rd, 2017 | Is there “Irrational Exuberance” in the U.S. Housing Market? March 25th, 2017 | U.S. Mortgage Delinquencies Spike Higher in Q4 2016 – Is This a Warning Sign? January 17th, 2017 | What Will 2017 Bring to the U.S. Housing Markets? November 12th, 2016 | Is The Market Signaling A Major Turn in Rates?